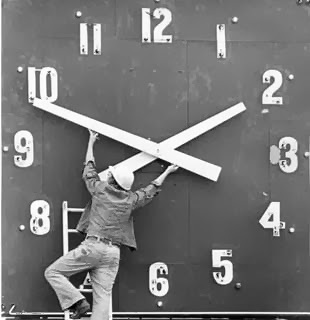 The move to Daylight Saving actually used 1 percent more electricity than if people stuck to Standard Time, according to a 2008 study on residents in Indiana. In other areas of the United States, the time change could cost people even more. Indiana is a special case because a lot of the state didn't observe DST until recently. While Indiana residents saved on lighting by switching to Daylight Saving Time, they spent even more on extra heat and air-conditioning. During the colder months of Daylight Saving, Indiana residents turned up the heat because they were getting up an hour closer to the coldest part of the night, the researchers found. In the summer months, they cranked up the air-conditioner because they were getting home an hour closer to the hottest part of the day. The extra electricity cost for Daylight Saving: $3.29 per Indiana household per year or $9 million for the state as a whole. And if you live where it's colder or hotter than Indiana, you're probably spending more. According to Stanley Coren, a sleep expert at the University of British Columbia, the number of traffic accidents and fatal industrial mishaps increase on the Monday after we spring forward. (Check out one of his studies here.) The reason, presumably, is because losing even a single hour of sleep over the weekend makes a lot of people a bit drowsier on what we might usefully call Black Monday. Unfortunately, there's no compensating effect of a super-safe Monday as we go off DST and "fall back" in the autumn. Sounds like a typical government program: costs you money and is deadly. Maybe the best idea would be to scrap the whole thing. I live in a state which doesn't change its clocks, though we do feel the pressure from beyond our borders as we unhook from one state's DST zone to another's ST zone. You've brought forward an excellent argument as to why we should scrap the whole spring forward and fall back tradition. Excellent post, S. Evan. Kudos.